Its almost like sending your immune system to cancer fighting school. Cancer research is an area of medical science that, rightfully, gets considerable attention. There are nearly 14.5 million Americans with a history of cancer and with more than 13 million estimated new cancer cases each year. It’s no wonder even artificial intelligence (AI) has gotten into the field. Researchers from the University of Michigan are not getting left behind, with a groundbreaking method that has the potential to eliminate tumors. 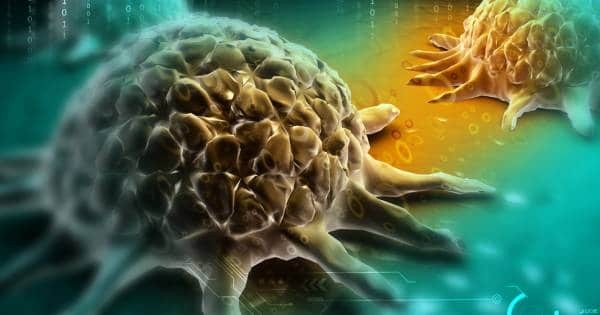 This new technology uses nano-sized discs, about 10 nm to be exact, to teach the body to kill cancer cells. “We are basically educating the immune system with these nanodiscs so that immune cells can attack cancer cells in a personalized manner,” said James Moon from the University of Michigan. Each of these ‘nanodiscs’ is full of neoantigens (tumor-specific mutations) that teach the immune system’s T-cells to recognize each neoantigen and kill them. These work hand-in-hand with immune checkpoint inhibitors that boost the responses of T-cells — forming an anti-cancer system in the body that wipes out tumors and potentially keeps them from reemerging. “The idea is that these vaccine nanodiscs will trigger the immune system to fight the existing cancer cells in a personalized manner,” Moon added. The study is published in the journal Nature Materials. So far, the nanodiscs were successfully tested on mice and were shown to be rather promising, eliminating tumors in 10 days. These were also able to shut down identical tumors in the mice after being reinserted 70 days later. “This suggests the immune system ‘remembered’ the cancer cells for long-term immunity,” said Rui Kuai, lead author of the study. Of course, it’s going to be a long while before this designer vaccine rolls out for public use. The researchers still need to scale it up for tests on larger animals. It will then take even more time before it can actually be tested on human beings. Still, the nanodiscs increase our chances of developing a cure for cancer. Other efforts in the field include an improved laser surgery to remove tumors, a vaccine being developed by a partnership of dozens of organizations, and an effort focused on changing cancer DNA, just to name a few.